Clarendelle joins the Montreux Jazz Festival by supporting the Montreux Jazz Artists Foundation in its mission to accompany the young talents of tomorrow. Indeed, 10% of the purchase on any bottle of Clarendelle sold at the Festival or in the Montreux Jazz Cafes around the world will be donated to the Montreux Jazz Artists Foundation. By purchasing Clarendelle, you are supporting the young artists of tomorrow! During the spring of 2017, 10 young talents originating from all over the world and all finalists of the Montreux Jazz Competitions (piano, guitar and voice) were invited to the Montreux Jazz Academy: Esteban Castro (USA), Fabio Giacalone (Italie), Rob Luft (UK), Arta Jekabsone (Lettonie), Olli Hirvonen (Finlande), Erik Leutäuser (Allemagne), Casimir Liberski (Belgique), Guy Mintus (Israel), Cristina Tanase (Roumanie) et Imelda Gabs (Belgique). During a week, they benefited from the teachings of their mentors: Yaron Herman, Marcus Miller, Trilok Gurtu, Elina Duni, Ziv Ravitz et Kurt Rosenwinkel. Beyond the discovery of many more emerging talents during the competitions, the programming of this 51st edition of the Montreux Jazz Festival, which runs from 30 June to 15 July 2017, will once again be exceptional. 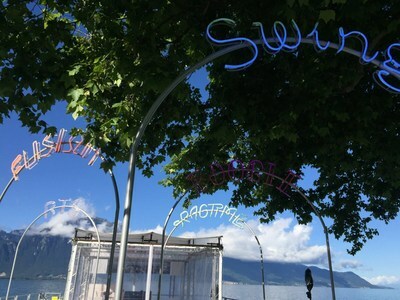 During the Festival, you will be able to find Clarendelle at the Trio Restaurant, the VIP Bar at the Stravinski Auditorium and at the Montreux Jazz Club Bar. Clarendelle Rosé will have an exclusive presence at the Poolside Bar of the Montreux Casino. Visitors to the Montreux Jazz Cafes worldwide (Paris, Geneva, Montreux, Zurich, Singapore, and Abu Dhabi) will be able to enjoy Clarendelle year-round and thereby support the wonderful work of the Montreux Jazz Artists Foundation. "The Montreux legends inspire the young talents of the Montreux Jazz Artists Foundation (MJAF). Clarendelle, Inspired by Haut-Brion, supports the MJAF. Two inspirations in perfect harmony. " Mathieu Jaton, C.E.O Montreux Jazz Festival. "Clarendelle is proud to be exclusive foreign wines sponsor of the Montreux Jazz Festival and to help the young musicians of the Montreux Jazz Artists Foundation realise their dreams while being mentored by some of the greatest legends of Montreux and Jazz. " 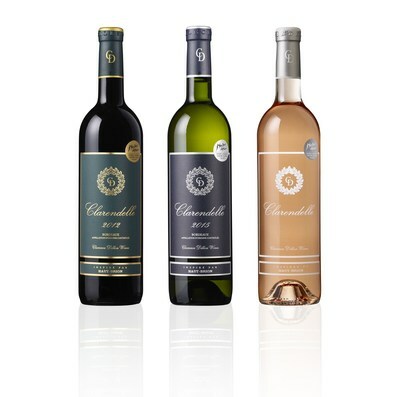 Clarendelle is a family of fine Bordeaux wines: Red, White, Rosé and Amberwine. Careful blending, overseen by the Domaine Clarence Dillon winemakers (Château Haut-Brion, Château La Mission Haut-Brion and Château Quintus) every year ensure a harmonious wine reflective of the vintage. The wines are released to the market when they are fully ready to be enjoyed by discerning wine lovers. Like any inspired composition, the Clarendelle family of wines signature style is defined by elegance, balance and complexity!